I use a blender every day, so it's important to me to have a good one. Sometimes I use a blender for simple things, like making my matcha frothy, but other times I'll use it to make things like homemade hummus or vegan sauces using cashews. In these cases, it's nice to have a blender that not only works well, but looks good too! Full disclosure, I was sent this Wolf Gourmet blender to review, but all opinions expressed here are my own and not influenced in any way by the brand! I was truly impressed when I tried out this blender. First of all, it looks nice and sleek, and it's a good size so that it fits on the countertop without taking up too much room. It feels very sturdy, and the stainless steel looks sophisticated in my kitchen. Second, I love the pre-programmed settings. You can just turn the knob to smoothie, and the blender does all the work on its own when it comes to the settings. I like this because I am very hands off with my cooking — I like to multitask and do many things at once. 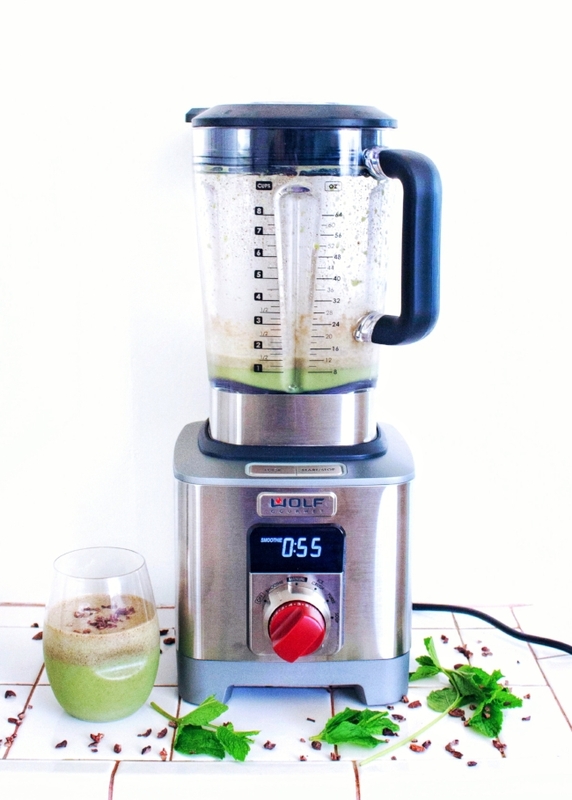 The blender works well for something simple likes smoothies, but it is definitely high speed, so making things like nut butters or hummus, which often require food processors, are totally possible using this blender. You can also make soups, which is always a plus. I love how the blender shows the measurements on the side (essential), and there's even an emulsion option for when you're making dressings and other marinades. All in all, this blender fits my needs, and it's definitely the best blender I have used so far (no lie). In my opinion, it definitely compares to the Vitamix, but I also happen to like the aesthetics of this blender as well. If you want to purchase this blender, you can get it from either Williams Sonoma or Sur La Table. 1. Add ingredients to the blender, in order. 2. Set the blender to the smoothie setting, and blend. Serve immediately. What I Learned About LASIK!